Back when I was living in Haiti, I remember while my teenage friends would read novels, I was reading motivational, leadership and sales books. My father was and still is a fierce reader and would share all those great books with me. He would constantly say: “Tell me what and who you read and I’ll tell you who you are and how successful you will be.” My goodness!!! Really?!?!? Consequently, I started on a mission to learn and devour all the great books I could find. Books by huge masters like Zig Ziglar, Napoleon Hill, Robert Kiyosaki, Jack Canfield and many many more. At age 15, dad and I would talk about success, business, money, wealth, happiness, life – and big dreams. As a result, I could handle a conversation with any CEO and any of my parents’ friends because I always had something smart to say or to learn. I cannot think of a cooler and more powerful motivator than Zig Ziglar. He was also renowned for transforming people’s lives with his sales and success principles as well as with his great sense of storytelling and sense of humor. He was a master communicator, salesman, and leadership coach I discovered through reading at an early age. 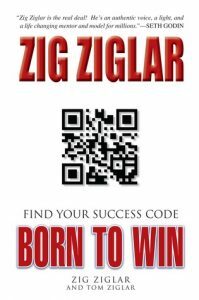 Zig Ziglar’s wildly popular book Born to Win Find Your Success Code recommends a balanced approach to living that is motivating! His strategy of “plan, prepare, and expect” bring the personal and professional together as a holistic road to success. His words are timeless (and have inspired millions!). 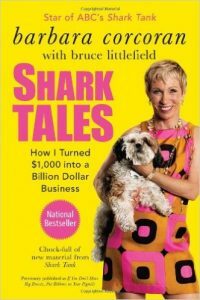 Barbara Corcoran, a self-made unconventional billionaire business woman, is the real deal and delivers straight talk on business, sales, success and more. Shark Tales is a must read – period! This is the true story of how the Shark Tank star started out by quitting her job as a waitress, investing in her future, and turning her $1,000 into a multi-billion dollar enterprise. It’s smart, it’s funny, and it’s heartwarming. Plus — it gives a great example on how taking chances can often turn into something REALLY amazing! In Reach Dad Poor Dad, a ‘revolutionary’ book I read as a teenager back in Haiti, when it first came out in 1997 – what a great gift from my own dad! 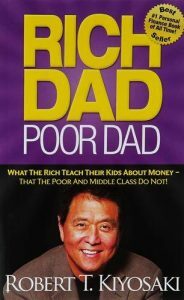 Kiyosaki’s personal story – his journey growing up with “two dads” – totally resonated with me. It was an eye opening experience that helped prepare me for success in North America! This book is the Number ONE finance book ever published! Kiyosaki delves into the “whys” of finance and tries to get people to think “outside of the box” when it comes to money. He also tells how important education is to success. Getting comprehensive training, like we do in our program at the Fabienne Colas Success Academy — can make you UNSTOPPABLE! 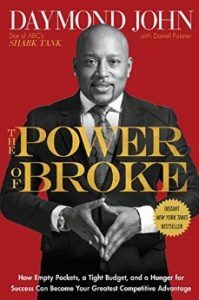 Fubu founder and another Shark Tank television show star, Daymond John, shares in The Power Of Broke how limited start-up funds can give you a killer leg up on your competition. FUBU became a billion dollar empire but he also “started small” like Barbara Corcoran, selling handmade shirts in Queens, NY. This is another excellent motivator to get your great idea and turn it into a reality. 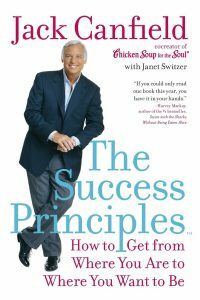 I would read any book written by Jack Canfield, the co-creator of the fantastically successful “Chicken Soup for the Soul” book series. 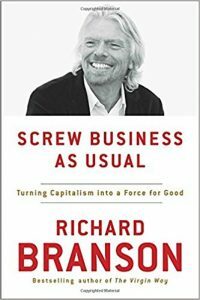 He has this unique and powerful way to share knowledge, business advice, and success principles with readers. With The Success Principles, Canfield covers a wide range of practices that transformed his life and propelled his success. With all kinds of stories about athletes, CEOs, celebrities and more, you are sure to be motivated to realize your ambitions! Facebook will never be the same after Sheryl Sandberg got in as Chief Operating Officer! She transformed the social network and turned it into a cool real-time money making machine! 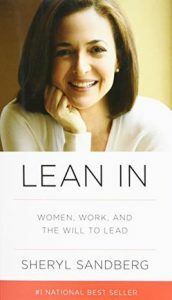 What she said in the book Lean In is unprecedented! If you’re a woman out there, you should definitely read this book. This international best seller was written to help women from all walks of life all over the world to claim their power, tackle any challenges, and achieve their dreams. (a fantastic role model!). Giving real-world practical guidance on things like negotiating and taking risks, Sandberg’s work is a true call-to-action for women who want to live their dreams. 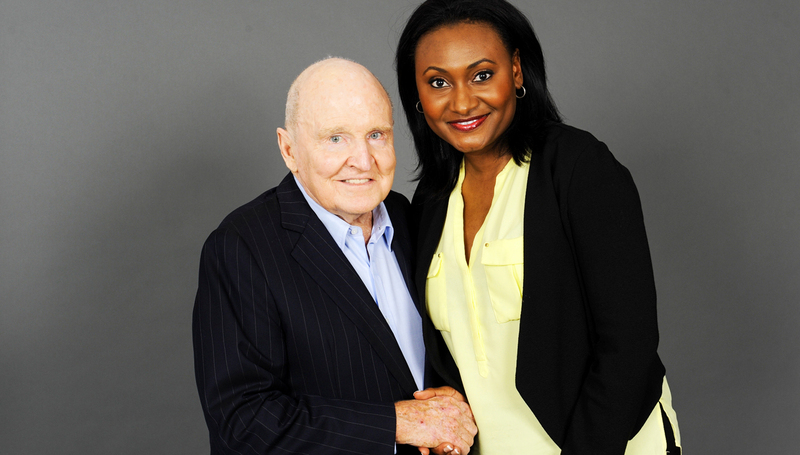 Jack Welch is the former Chairman and CEO of General Electric (GE). During his 20 years of leadership in this position, Welch increased the value of the company from $13 billion to several hundred billion. Reportedly 4,000% growth!!! I was honored to meet the legend at a conference organized by the Chamber of Commerce of Metropolitan Montreal. This book is the real deal! 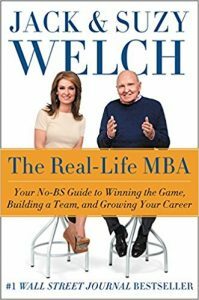 Drawing from their own experiences, Jack and Suzy Welch give practical solutions for facing challenges in business management in this #1 Wall Street Journal Bestseller and New York Times Bestseller: The Real-Life MBA. These iconic business leaders give you a “No-BS” book to help people both in early-stage career path and the reinvention stage later on. It’s never too late to follow your dreams! This is among the very first books I read back in Haiti as a teenager – recommended by my dad. You are and become what you think about the most and what you truly believe!!! This book literally changed my approach to success and I read it again every couple of years. 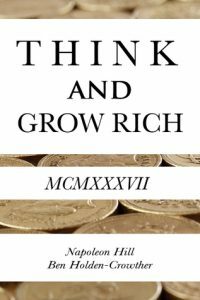 First published in 1937, Think and Grow Rich has been around a long, long time and is still widely popular today due to its reputation of being one of the best self-help books for entrepreneurs. Speaking a lot on the importance of a strong desire to follow your passion, taking action, and PERSISTING! I first discovered Tony Robbins soon after I had moved to Montreal, around 2004 or 2005. At first I thought he was nothing but a very tall box of ‘energy’ – another Guru out there… Then I started to pay closer attention and bought one of his audio programs – he was real and had way more practical solutions to offer than pure energy. I became a fan. The world can often be a scary place! 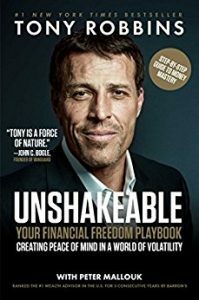 With Unshakeable (published in 2017 and already a NY Times best-seller), the international life and business strategist gives straightforward action plans for healthy finances as well as inspirational stories of success where people have had to overcome major challenges to live a fulfilled and stable life. In these often trying times, this financial guru who has coached millions from over 100 countries will give you peace of mind and concrete plans to be financially free. Are you ready to get reading?? Having the information you need is POWER. Get those books ASAP and start learning from the very best. Most of all, those are highly successful people who bring you practical solutions and success principles that have worked for them and for millions others. Having been initiated to reading at a very young age really helped me throughout my life, and I encourage you to get started and to read as often as you can. I believe in education with my whole heart and know that I wouldn’t be where I am today if I had not invested in the resources and training I needed to build my career. Any of these books would be a great supplement to the Fabienne Colas Success Academy! The 6 week comprehensive online training course is starting very soon. Hope to see you there!